Why waste precious in-house resources or pay pricey agency retainer fees and exorbitant hourly rates when it’s actually less expensive to outsource your newsletter to The Newsletter Experts? Especially given the fact that you’ll end up with a more professional and effective publication – without any of the hassles. We produce high quality, custom newsletters, so our prices are customized for each newsletter client. To receive a custom quote that meets specific needs, please click here or call us at 636.256.0050. For a suprisingly low cost, we can take care of mailing your newsletters and ensure you get the lowest postal rates. We can also ship the newsletters to you or your mailing service. Does my newsletter have to be printed by The Newsletter Experts? No. We are happy to provide you with a PDF or send press-ready files to “your” printer. What about HTML or online newsletters? 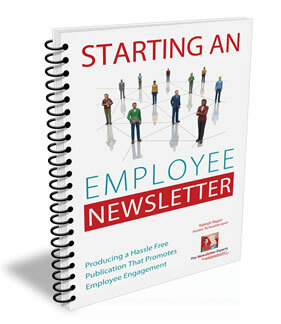 You always receive a free electronic PDF version of your newsletter which you can email or place on your website. When you compare the costs of trying to produce a newsletter in-house or paying a premium for creative firms that lack newsletter expertise, we make the most fiscal sense. We create, write, design, produce, print and distribute your newsletter – without usurping your valuable time. We consult with you and establish a fixed cost for your newsletter. We don’t charge you for every little change or addition you make.